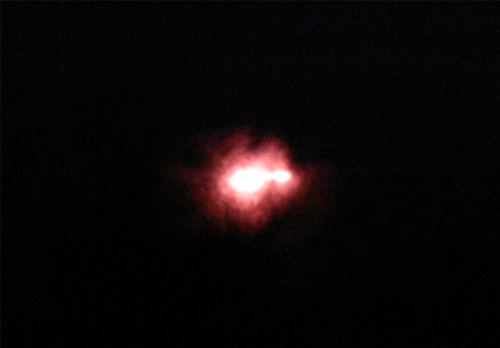 The Marfa Lights — Underground Lightning, Wandering Ghosts, Or Something Else? A few weeks ago, we asked you to send us questions that you have about our region for a new journalism project we’re calling West Texas Wonders. In the Big Bend, sightings of the mystery lights go back more than a hundred years. Accounts vary from lights chasing vehicles, orbs dancing in the distance, to gigantic luminous balls that appear suddenly. 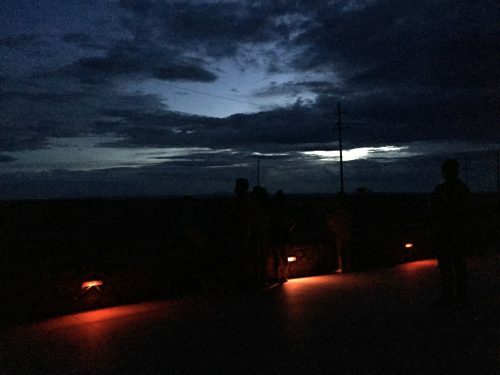 Most people end up watching the mystery lights out at the Marfa Lights Viewing Area, which was built in 2003. It’s a roadside stop off of Highway 90 — about nine miles east of town. 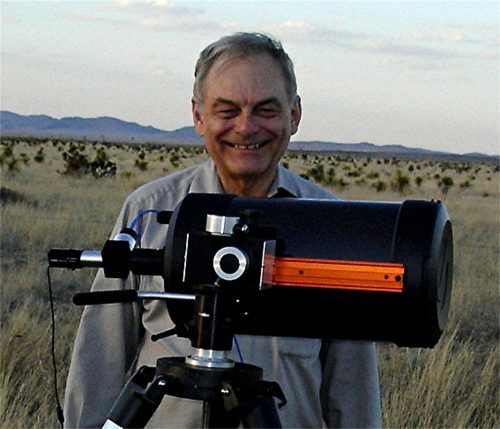 Bunnell grew up in Presidio County, and spent several years studying the phenomenon in Marfa. He was a fresh retiree when he decided to dedicate some time trying to understand what people were actually seeing. He thought he’d find an answer in a couple of months. 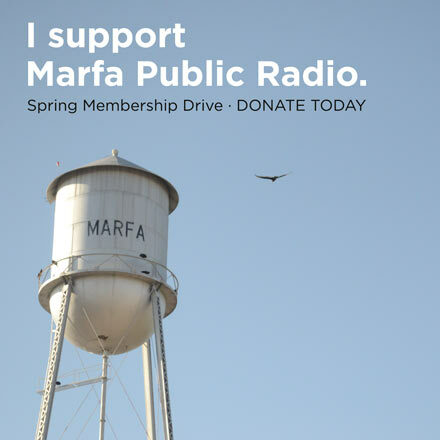 But that turned into twelve years of research, four self-published books, and what he says is the largest collection of Marfa lights photographs. For his research, Bunnell placed cameras on various ranches. They were all pointed at Mitchell Flat, where the lights are often seen. During this time, he didn’t live in the Big Bend, but Bunnell would often return to retrieve camera footage. On those trips he would relish at the opportunity to see the lights during dark desert nights. After poring through countless hours of video, Bunnell says he is able to tell the difference between headlights, stationary ranch lights and tower lights that can easily be mistaken for the real deal. “What came out of it was an understanding of every light source in Mitchell Flat possible,” Bunnell says. From his observations, sightings of the lights are extremely rare. But if you’re lucky, he says you’ll see that the lights pulsate as if they’re turning on and off, and can last up to forty minutes. 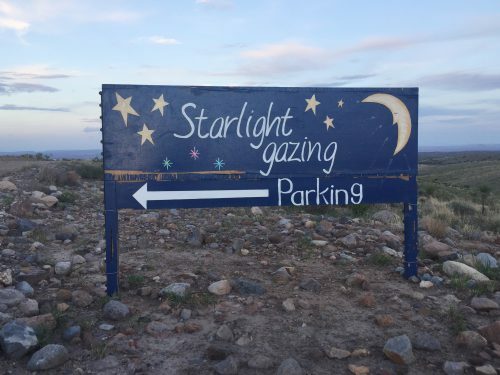 As you drive into the Shurley Ranch, about twenty-two miles south of Marfa, you’ll see a sign that reads “Starlight Gazing — Parking.” The ranch is located at the highest point between Marfa and Shafter, where car lights — often mistaken for the Marfa lights — first appear. From here, there’s an unobstructed view of Mitchell Flat. 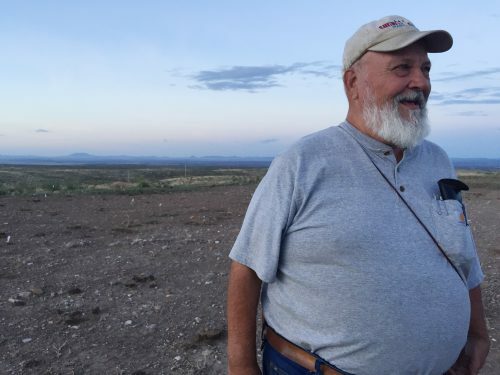 Since Mike Shurley moved back to the Big Bend about four years ago, he began showing people what he calls the “real” lights. 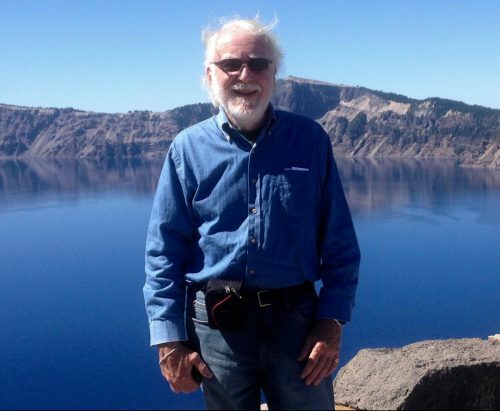 Shurley didn’t spend much time thinking about the mystery lights for most of his life — he’s seen them since he was a kid, like many locals in the region. But when he learned people were profiting from naïve tourists, he decided to take action by inviting people to watch from his family’s property. “I think there’s a lot of deception going on. There’s money changing hands to take people to show them the wrong lights. And I don’t think that’s right,” he says. There are several theories about what the lights are. Explanations range from the supernatural to unverified science. Of these, Shurley says one of the most far-fetched rationalizations is that the lights are a Mexican ghost looking for a lover that was stolen by a Native American. Although there is no verified scientific explanation as to what the mystery lights are, Bunnell did come up with a theory he refined after twelve years of researching. He wrote about it in his last book, Strange Lights in West Texas. “I believe that underground lightning creates dusty plasma clusters that are the energy source for the [Mystery Lights] we see,” Bunnell says. These “dusty plasma clusters” created by the underground electrical energy serves as the energy source for what people see as the mystery lights. Bunnell thinks the bright bursts themselves might be something called ball lightning — a phenomenon many scientists believe is real, but don’t fully understand. Bunnell says even though no one else has signed off on his theory, he feels that the explanation satisfies his own curiosity. Both Shurley and Bunnell say you’ve got to see the lights to believe they exist. 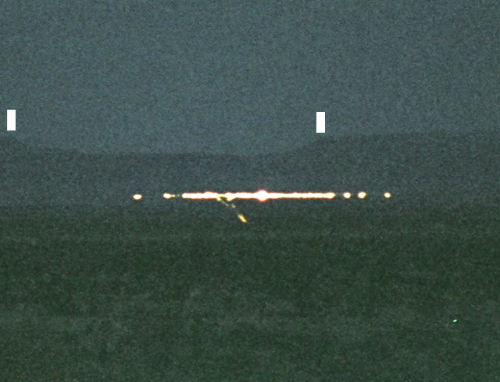 So, the real story behind the Marfa lights? You’ll just have to look for them and decide for yourself. You can find out more about James Bunnell’s research here. What do you want to know about West Texas? Ask here. This entry was posted in and tagged marfa lights, West Texas Wonders. Bookmark the permalink.